Discover where to find the information you need to manage key production tasks. A good source of production-specific metadata is the Title verso page. Go to Work > Production. Click the Title verso link for whichever product you’re interested in. The page that loads contains data that you can use on the back cover, title verso page and other front and end matter. Edit the settings for the title verso page on Settings > Configuration > Company profile. Your editorial colleagues use the Metadata page to store all the metadata. Go to Work > Metadata. All this page will be of interest, but particular areas of note are the following. Publication > Identifiers. 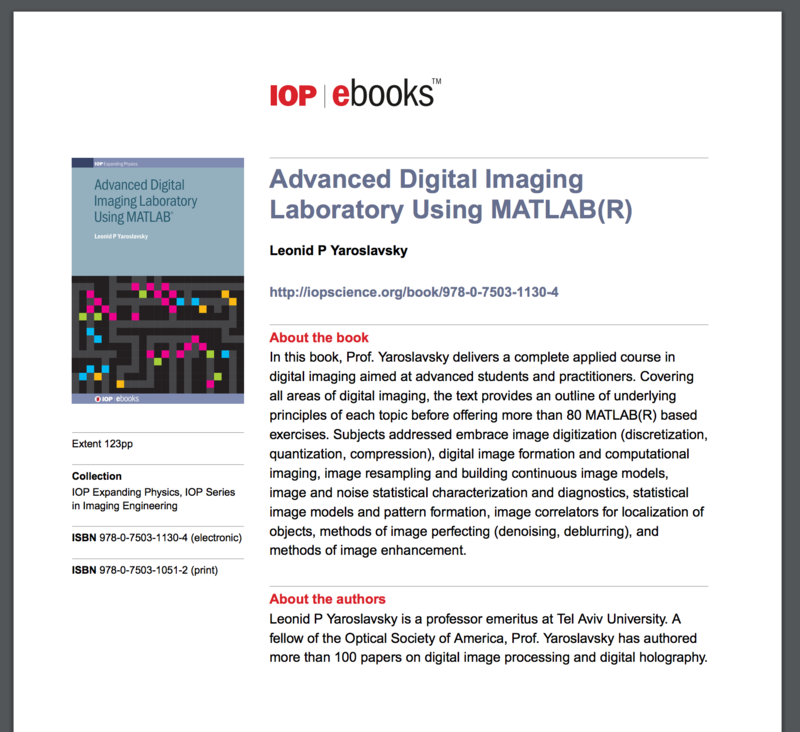 This contains the ISBN13s, the DOIs and also the title and subtitle. Note that there is an option for the title and subtitle to be different for each product, as opposed to the parent work, so you can see if there are any variations here. 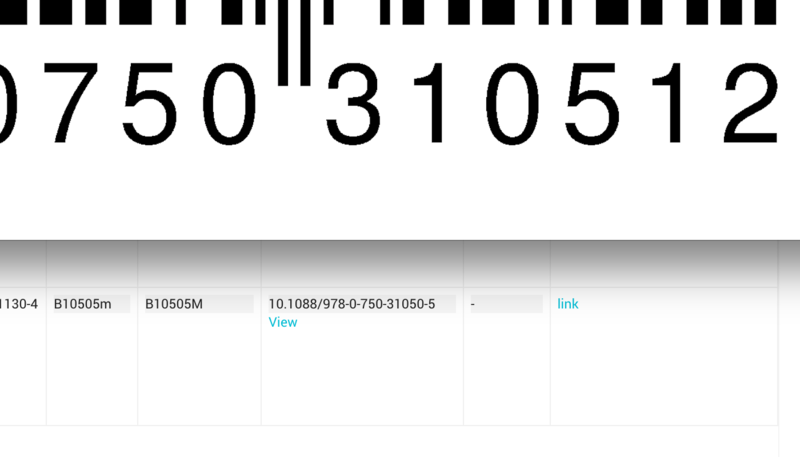 This section also contains a link to a 1200dpi png version of the barcode which has been tested to scan at Gardners, NBNi, Waterstones hub, Amazon goods in and other parts of the supply chain. Click on link in the Bookland EAN Barcode (.png) column and the .png file opens in a new window. Here is an example of a barcode generated from Consonance. Publication > Publisher – this shows if the work is published in association with another publisher. Publication > Series – this shows what series / batches the work might be a part of. 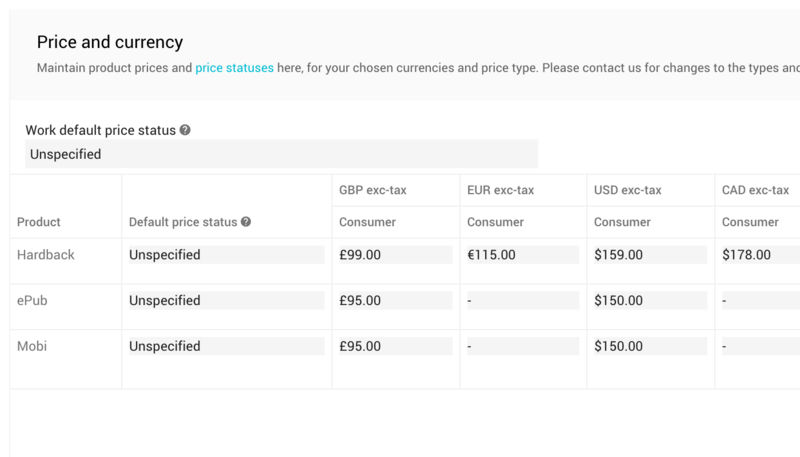 Publication > Pricing – contains all the prices by currency. Format – contains dimensions as used by marketing. Format – also contains extent information. Update this with finalised extents once the layout is done. There are some useful pieces of production data contained within the contract data that your editorial colleagues enter into Consonance. Of particular interest are manuscript delivery dates and gratis copies, and these are pulled out in summary form on the Overview page. Go to Work > Overview. Scroll down to Contract. The AI for the product is used by your marketing colleagues and is useful for checking the title, pub dates and other key marketing information. Go to the product in question and click on Exports. Then export the AI for the correct product. The PDF opens in your browser. To see who is responsible for what, look on the work Overview > Status section. To see any briefings from editorial to production, go to the work Overview > Status section. Read more about briefings here. To see the key tasks on schedules, look on the work Overview > Status section. Read more about schedules here.